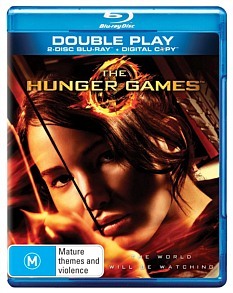 The Hunger Games Blu-ray Review. All in all, The Hunger Games is a must have movie for Blu-ray thanks to the interesting story, great characters and flawless acting. The Hunger Games is based on the popular teen novel of the same name which is written by Suzanne Collins. It is set in a dystopian post-apocalyptic future which has seen America split into a cast system and the story takes place in the fictional nation of Panem where twelve boys and twelve girls must compete in the Hunger Games as tribute to the past crimes of their parents. Each of the twelve districts that compete in the Hunger Games hold a lottery to choose their champions and when Katniss Everdeen (Jennifer Lawrence) younger sister is chosen, she valiantly decides to take her sisters place for District 12. Joined by Peeta Mellark (Josh Hutcherson), the other male competitor from District 12, they are both taken to the Capitol in order to train for the Hunger Games. Their teacher is Haymitch Abernathy (Woody Harrelson), a former victor of the games who is now a washed up drunk but when he sees something noble in the eyes of Katniss, he decides to help her as best he can. From here, both Katniss and Peeta are thrown into this virtual reality arena that combines elements of The Running Man and Lord of the Flies to create this brutal gladiatorial combat as children and teenagers fight to the death. Although The Hunger Games may have the same audience as the Twilight series, this story is far superior with more down to Earth and realistic characters. Even the story plays out better. The star of the movie is definitely Jennifer Lawrence who plays her character perfectly. 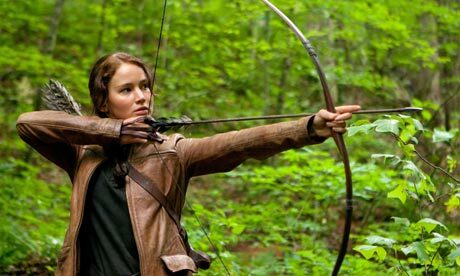 Katniss is quite guarded to those around her but she has this heroic soul and caring nature that comes out when needed. When originally released at the cinemas, The Hunger Games did get a battering from Christian groups due to the brutality of the story, however most of the violence is off camera and it's the story of teenage girl forced into maturity. 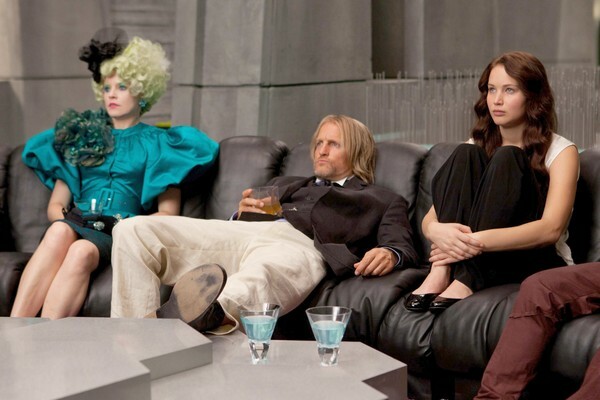 With action, drama and romance, The Hunger Games is a powerful story from start to finish. In terms of acting, there are a plethora of great actors involved in this production that include Stanley Tucci, Wes Bentley, Elizabeth Banks and Liam Hemsworth. Director Gary Ross successfully brings these characters together and creates an enjoyable sci-fi thriller set in this dystopian post-apocalyptic future. Video and audio quality is quite impressive on Blu-ray with sharp images, vibrant colours and a brilliant sound score. There's also some great special features that include how the film was made and some great interviews with all involved. All in all, The Hunger Games is a must have movie for Blu-ray thanks to the interesting story, great characters and flawless acting.